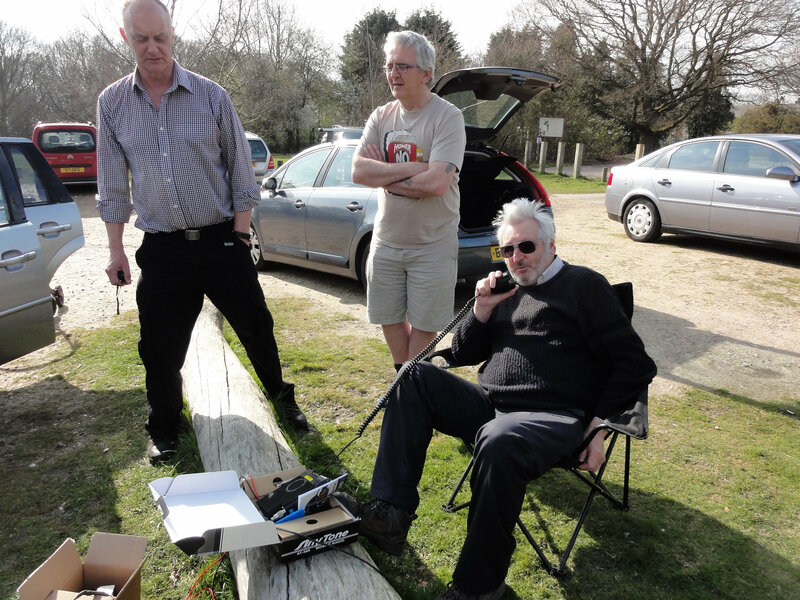 Using the club call M0SNB June saw another chance to operate 70 MHz outdoors in the RSGB contest, with perfect weather at 24c. 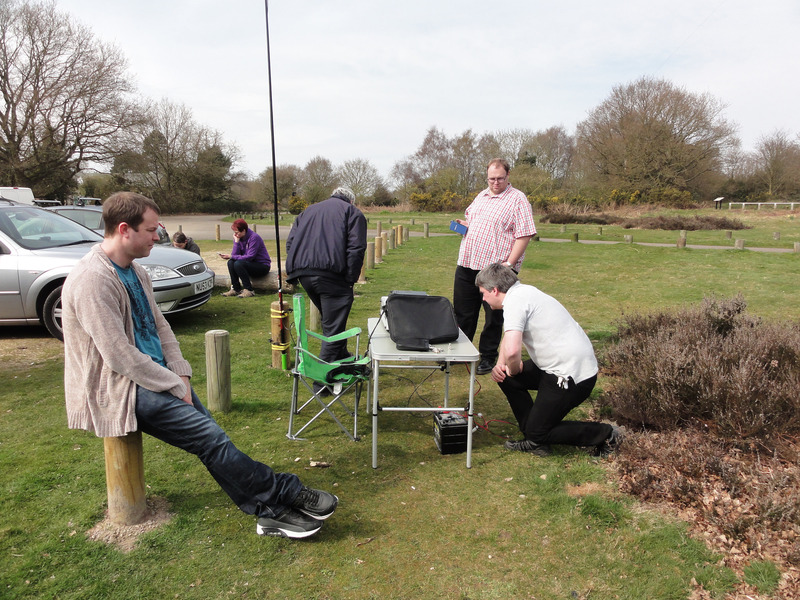 The contest site at the Secret Nuclear Bunker was used, at some 110m ASL it has good take off in most directions. 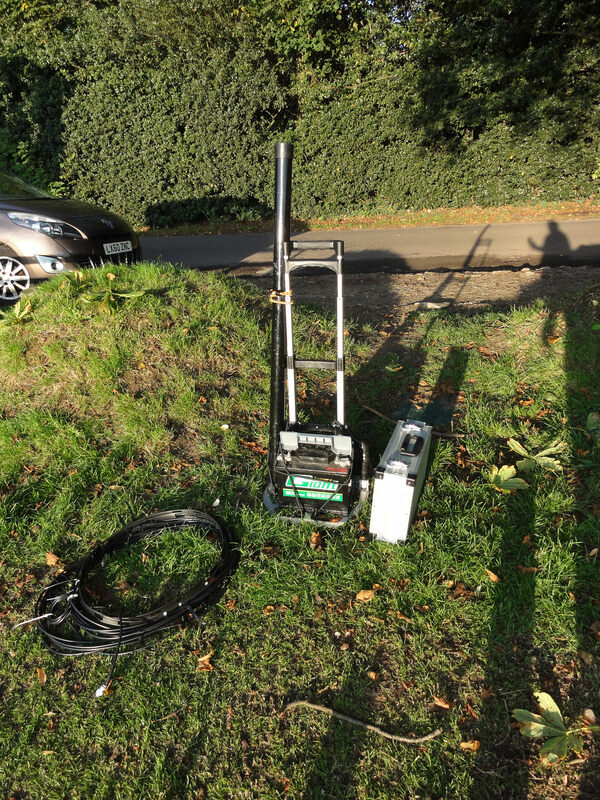 Using the homebrew 6e 70 Mhz beam, and the solid-state amplifier to deliver 160w worked a treat, with our best DX EI2FG @ 568 KM. The antenna uses the latest in “push fit” technology. 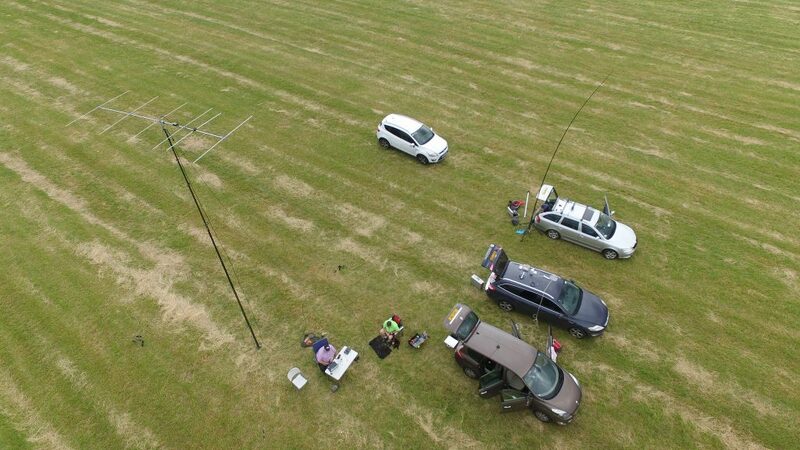 You can read more about the antenna in this article. Over the course of the 2Hrs operating, I worked GW, GM, GI, GC and GD. 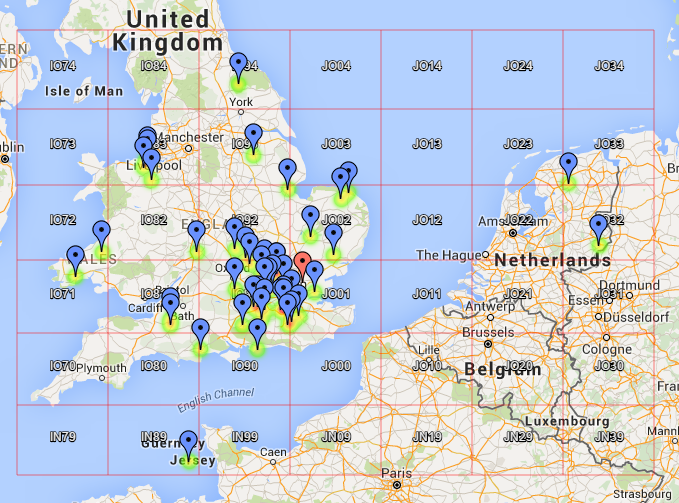 Here is the QSO map for the afternoon. 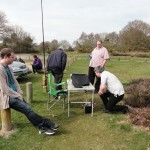 Spent a very enjoyable Sunday with the crew from Essex Ham. The operating site is at Gallywood common near Chelmsford, and the operating is outdoors and subject to weather. 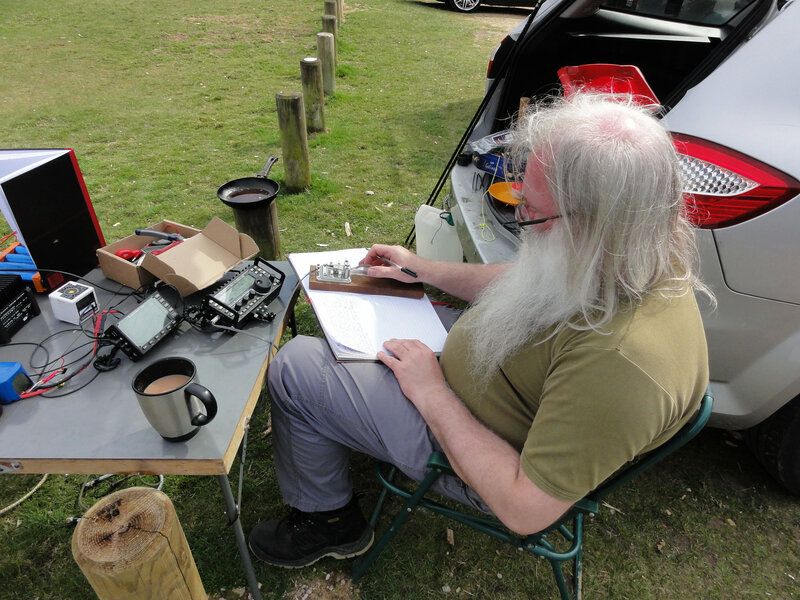 The sun was shinning, and alfresco portable operating was possible. 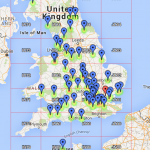 Stations included 2 HF, 1 VHF/UHF and 1 on 70 MHz. 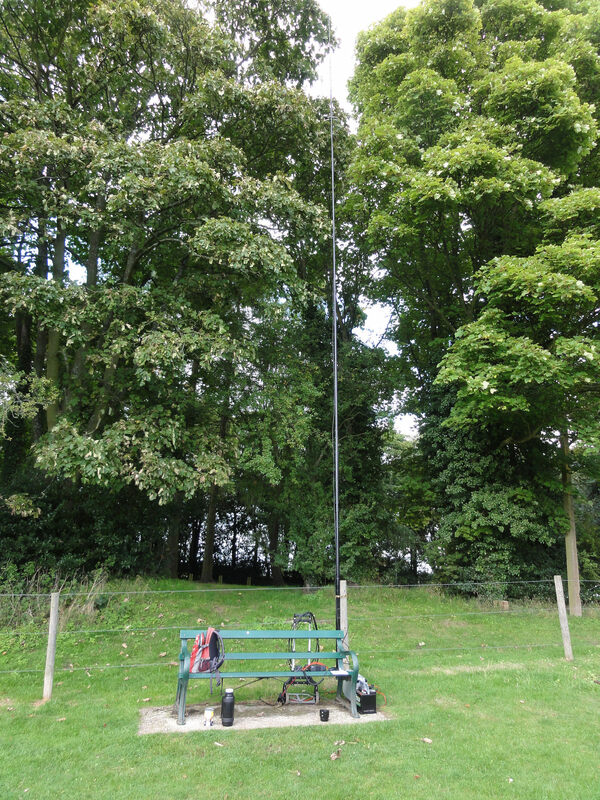 I opted for the 70 MHz station, using a Icom 7100 and a slim Jim supported on a spidebeam roach pole. Here you can see various various roach poles supporting HF and VHF aerials. Over the afternoon I worked 12 stations on 70 MHz, they ranged from Southend, Colchester and Waltham Abbey so around 20 miles. 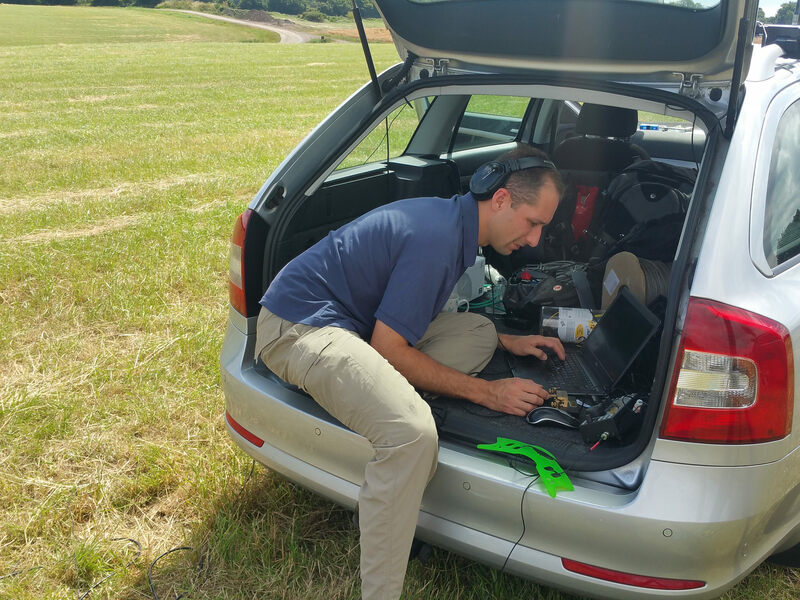 Band conditions on HF left a little to be desired, although this didn’t stop Peter G0DZB from working CW on 10 and 14 MHz. 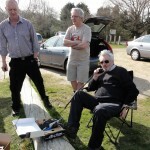 Many thanks to the Essex Ham team for their hospitality, bacon sandwiches and tea. I hope to see you again soon on another sunny afternoon for some further portable operating. 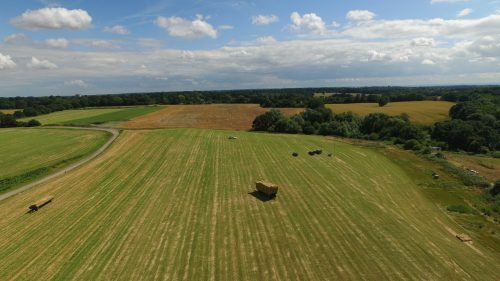 Peter has some further pictures and operating report on his blog. 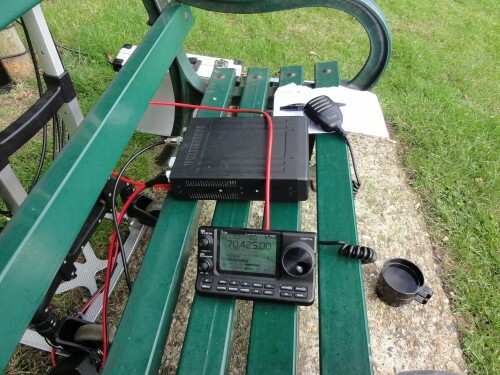 The popular shortwave and ham magazine Practical Wireless runs a 70 MHz contest once a year. 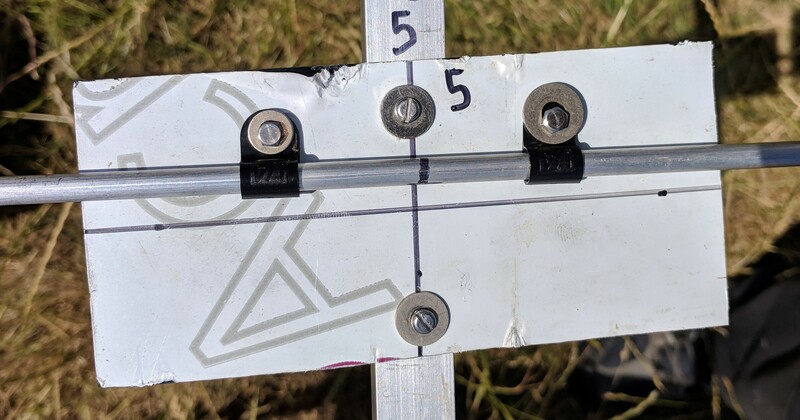 The contest attracts a number of entries from all around the country, including one keen team who climb Helvelyn in the Lake District (M0BKQ/P). 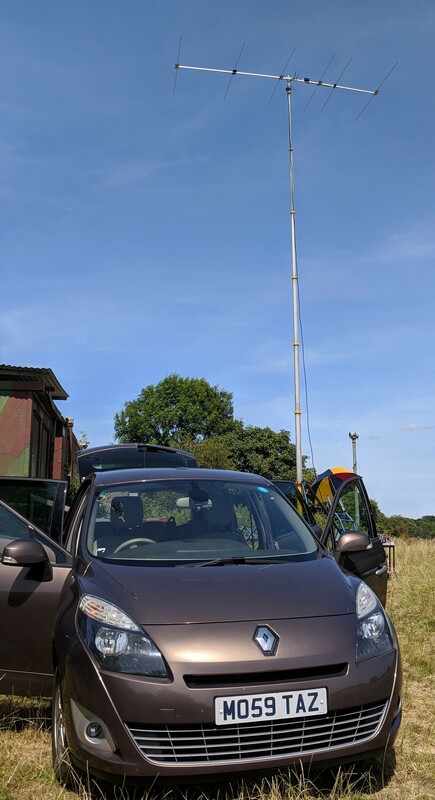 The entry from M0TAZ/P didn’t include a 900m accent to the top of a mountain, we operated from the JO01 Kelvedon Hatch Secret Nuclear Bunker near Ongar Essex. The location is over 100m ASL and affords nice views over the Essex countryside. The activity started at 1PM and finished at 5, activity levels were moderate with the first 2 Hrs being the most active. Many portable stations operate 10w or less so the amplifier and 160w did mean we sometime had to listen very hard to get a calling stations details. Sometimes people assume that because they can hear you loud and clear their signal must also be good. The weather was sunny , and this must have helped encourage people to operate portable outdoors. 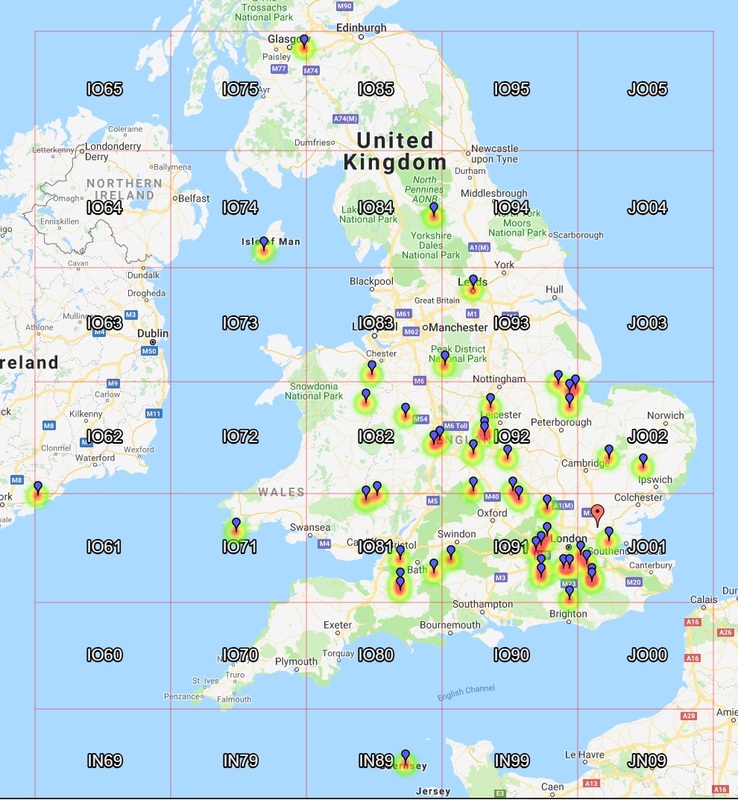 We managed to work 47 stations our best DX being Scotland GM4JR at 454 km and was pleased to work into Wales GC0VPR/P, GW0EIY/P and GW4EVX/P and also the Netherlands PA4VHF. 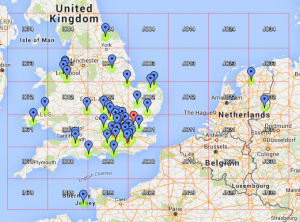 The QSO map pins indicates the location and number of stations worked. 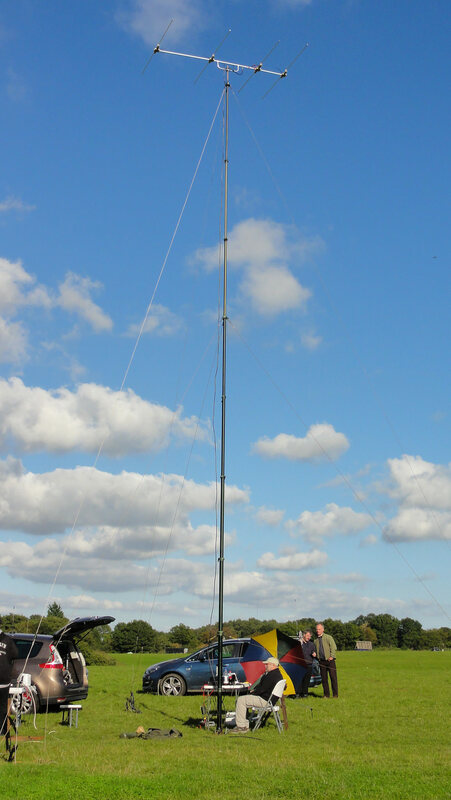 Many thanks to John M0UKD for the use of his beam and 70 MHz amplifier, both worked flawlessly and George M1GEO, Dave M0YOL and Chris G8OCV for assistance with the mast and words of encouragement. Further pictures are available online. 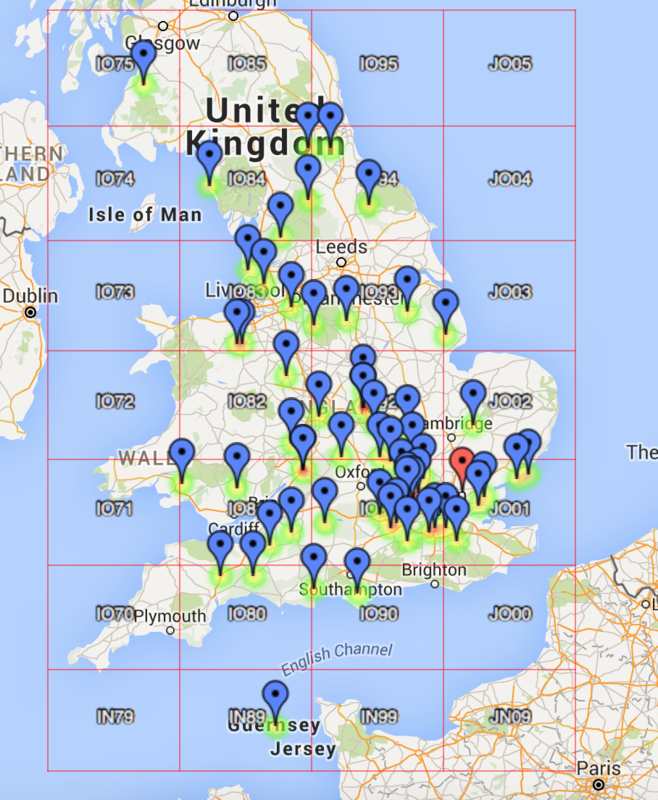 We had some great September weather today for the RSGB 2nd 70MHz contest. 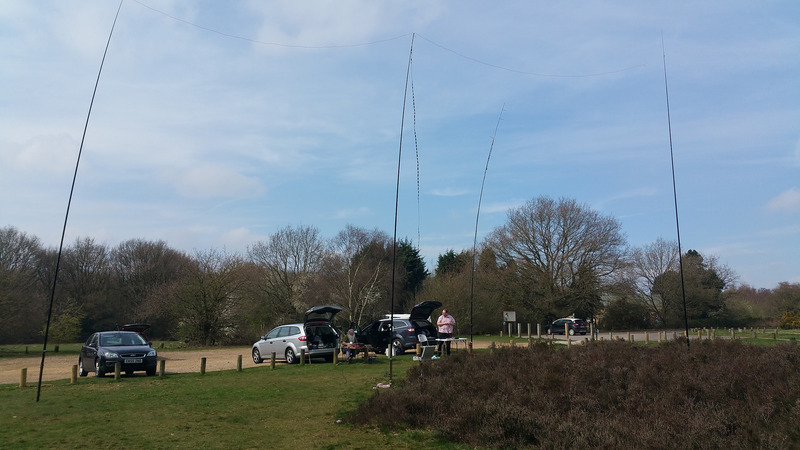 We setup a station at the Kelvedon Hatch ‘Secret Nuclear Bunker’ as seen above, using John M0UKD 70MHz amplifier and his 4 element DK7ZB 12.5Ω Yagi. 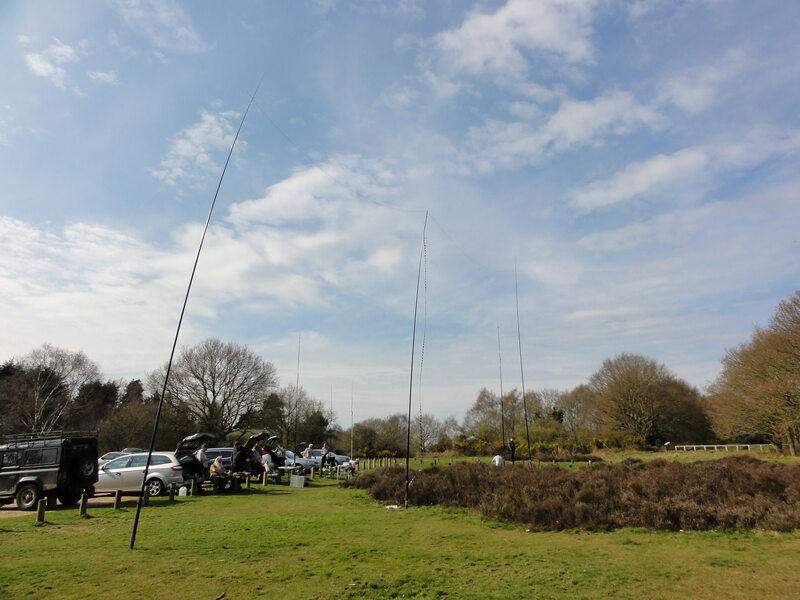 The mast was my 12m Racal PU12 a push up 12m mast, and the location was around 100m ASL. The radio was the Icom 7100, as this provides all mode 70 MHz coverage. 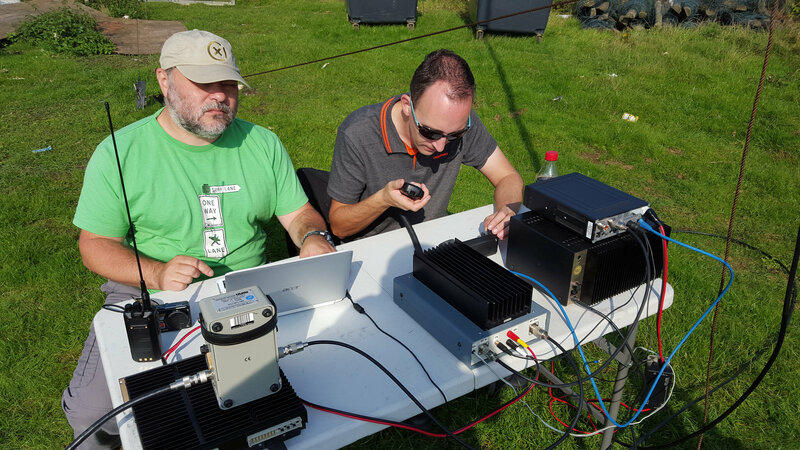 Conditions seemed quite flat, we didn’t manage to work into Scotland or Ireland but our best DX (as many others) was PA4VHF at 449km. 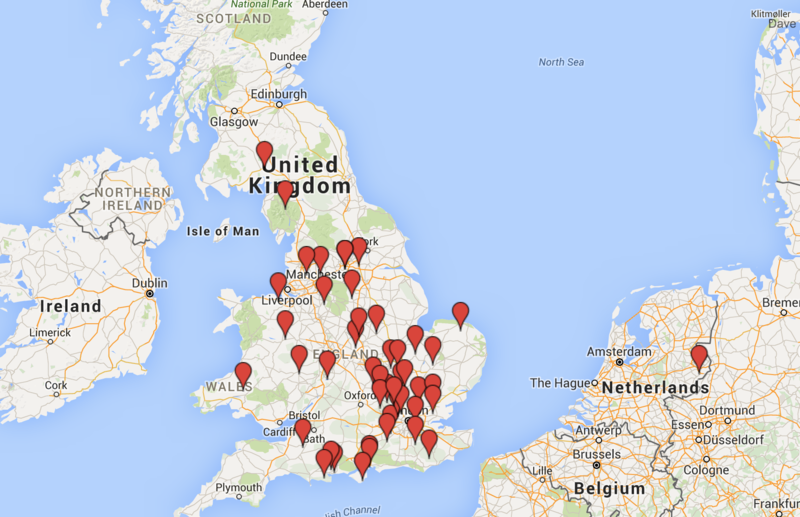 Other highlights were GJ3YHU in Jersey and M1CJN/P in the North York Moors. The Claimed Scores are available. Thanks to John M0UKD, George M1GEO, Dave M0YOL and Chris G8OCV for help & company! 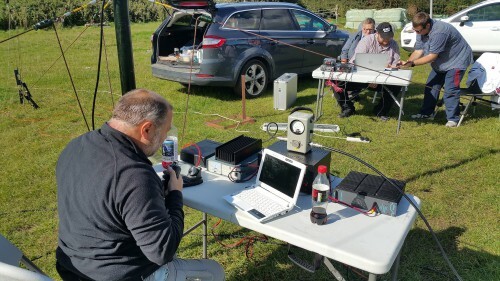 An afternoon in the sun looked like an ideal opportunity to work some station on 70 MHz. Bedsford park is the highest point around at the dizzy height of 100m ASL. 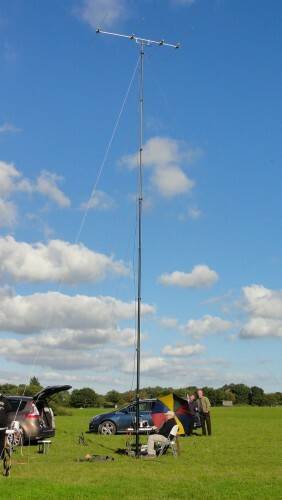 I decided to take the 12m roach pole and Icom 7100 and the slim jim. The portable trolly, battery and antenna. After setting up the radio, powered by a 90Ah leisure battery my first visitor was the local parks patrol. They have recently been kitted out with a look alike “emergency” response vehicle, complete with blue lights and checkerboard markings. We had the usual chat that started along the lines of “Have you asked permission” … (oh this isnt going so well.) 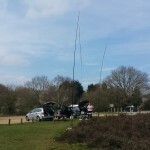 I didn’t quite work out why I need to ask permission to sit in the park with a fishing pole and Icom radio, it seemed like the local dog walkers with their poop machines or the kids throwing sticks into the conker tree was just fine but thats another story. He was quite amicable once I told him I was a licensed amateur radio operator, either that or he was just confused by the term. Anyhow, after the passing of the parks police enforcement team. 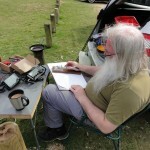 I got down to some operating, calling CQ on 70.450. 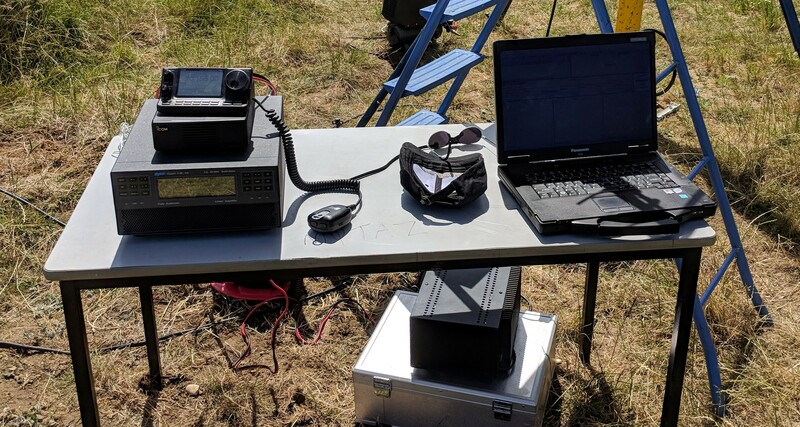 It was great to hear so much activity, and I quickly worked 12 stations. 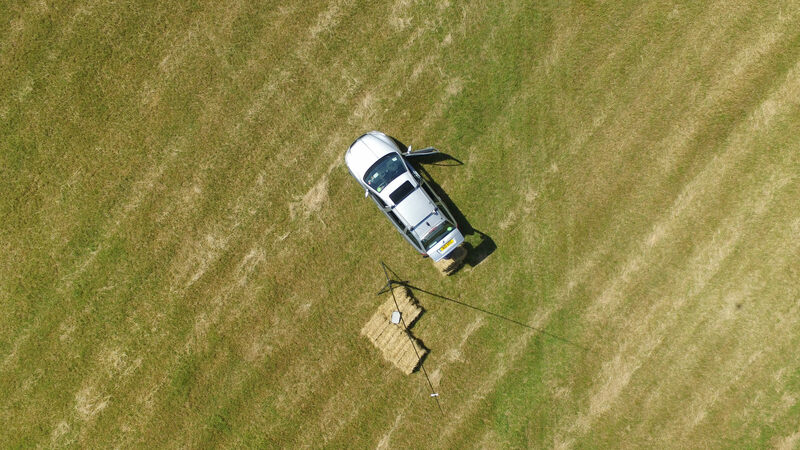 The Slim Jim up 12m on the roach pole.